We are still in the process of transitioning the fairways from the winter rye to Bermudagrass. 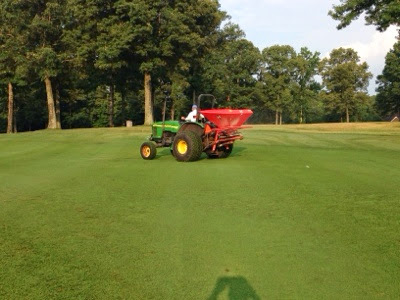 We have applied our last full application of fertilizer to the fairways this morning. About 95 percent of the golf course is covered. We will still need alittle patience and extra care to completely fill in the other areas. All these areas will be filled in by the end of the month.